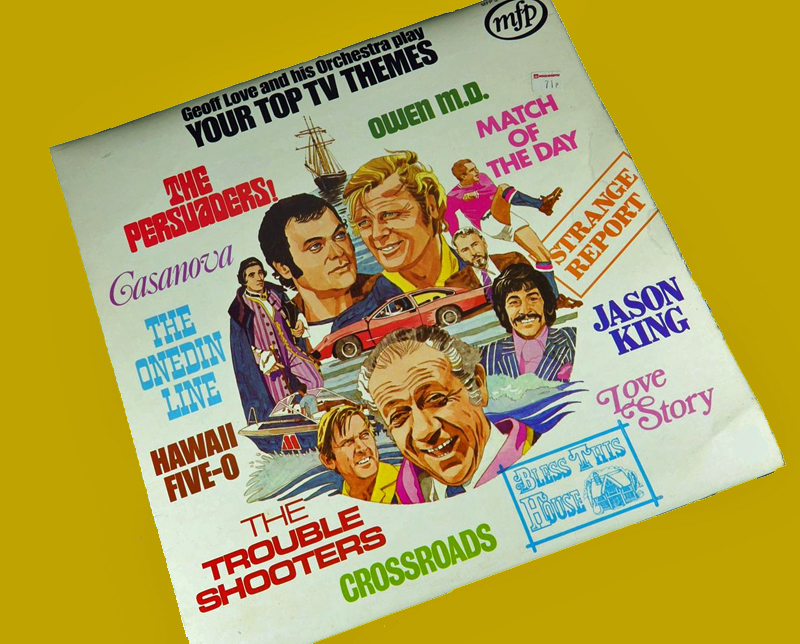 When Oliver Lomax bought Geoff Love’s Your Top TV Themes (on the cheerfully budget MFP label), it kindled an enthusiasm which would eventually lead him to the subterranean world of library music. Still, he must have cut something of an outsider dash as the rest of the UK fell sway to skinny kids with jingle jangle guitars and a copy of Forever Changes tucked under one arm? “The notion of being out of step with anything else that might be happening musically didn’t even occur to me,” he says. 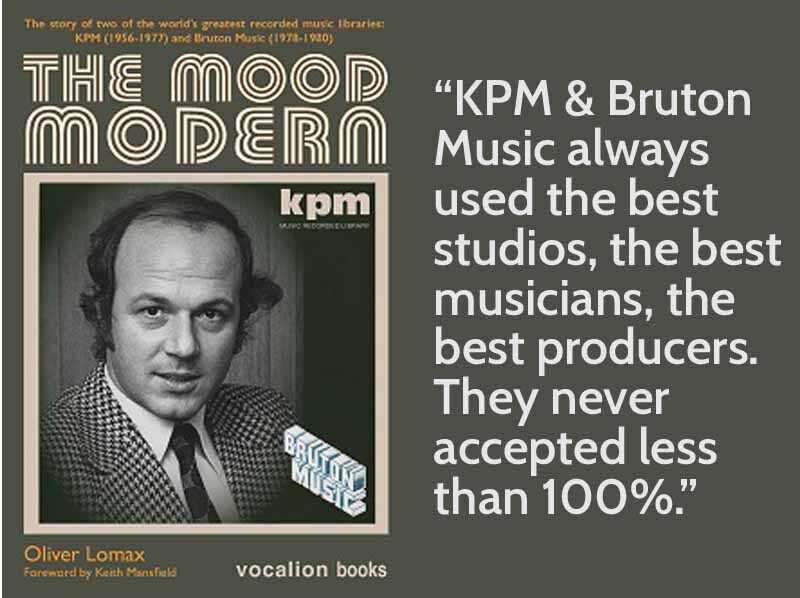 Fast forward to the present day and Lomax is telling me about The Mood Modern, an exhaustive account which has taken him nine years to complete of music library giant KPM, and its rival successor Bruton Music. Now is a great time to be a fan of library music (off-the-shelf cues and soundtracks created for film, television and advertising companies): in addition to Lomax’s book, there is Unusual Sounds, David Hollander’s personal take on the phenomenon, and The Library Music Film, Shawn Lee’s thumbs-up to the anonymous figures who created some of its most glorious and deranged compositions. Was Lomax aware when he was writing his book that this year would prove to be so significant? The origins of library music lay in 1909 with Mayer de Wolfe, a Dutch emigre and musician whose company Music de Wolfe licensed original musical compositions to silent cinema orchestras. When the advent of sound precluded any need for live accompaniment, de Wolfe switched to making 78rpm albums of stock music, cues, and effects. “Without that we would not have library music. After (de Wolfe) came Bosworth, Boosey & Hawkes, Chappell Recordings, and of course in that era it had nothing to do with funk, it was all light orchestral,” Lomax says, making a case for its importance. Though his father Jimmy and older brother Peter were both also at KPM, the distinctive solid green album covers and dynamic aggressive sound was the vision of Robin Phillips. 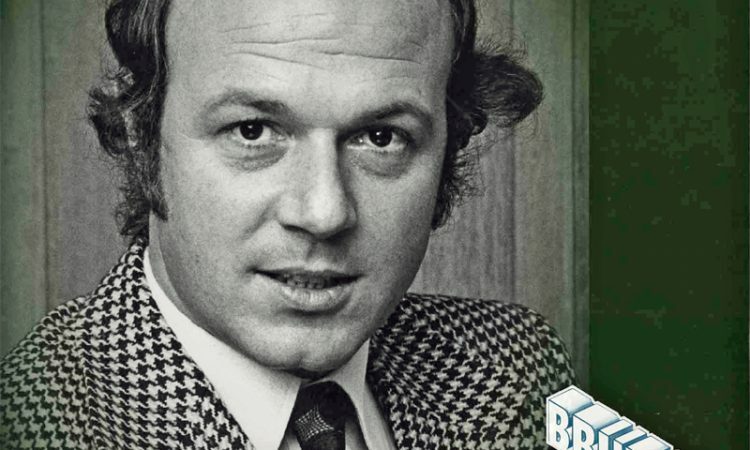 Through the sixties and seventies he transformed the company from a rather old-fashioned concern into the most significant music library in the UK and Europe. Phillips assembled library music’s most renowned set of artists at KPM (names like Alan Hawkshaw, Keith Mansfield, Dave Richmond, Alan Parker) who created some of the genre’s most iconic and recognisable tracks – Chicken Man (from Grange Hill), Light and Tuneful (from Today at Wimbledon), Confunktion (from the Denim ad) and Free for All (from My World). 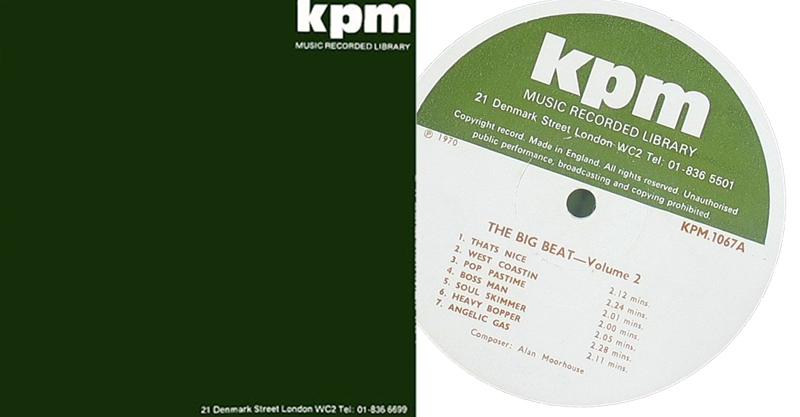 Many of these same musicians would join Phillips when he eventually left KPM in 1977 to set up a rival company Bruton Music (named for the London street where it was based). More explicitly electronic and experimental than those of KPM, Bruton Music releases featured strong graphic design and distinctive colour coding. Phillips’ departure was a consequence of an increasingly fraught relationship with EMI who had bought KPM in 1969. Lomax is explicit in his book about what went wrong. However, Lomax does not shy away from recognising some of the difficulties Phillips has at the short-lived Bruton, particularly in a new political and financial climate being engendered by the Conservatives under Margaret Thatcher. Reluctant to fully embrace the changes brought about by new emerging technologies and more than a little sceptical about electronic music, Phillips’ time at Bruton is uncharacteristic, marked by creative differences and seething resentments leading to fallings out with the likes of Keith Mansfield. The Mood Modern is an engrossing story about a time in the music industry when it really did seem like music came first and business second. That the impetus was provided by library labels like KPM and Bruton, rather than huge corporations, is down to the personalities involved – and nobody was a force of nature more than Robin Phillips, says Lomax. Oliver Lomax’s The Mood Modern is available now and published by Vocalion Books. More details here. The Sound Gallery – theCV’s exhibition of library music album art is on now at Colours May Vary. Special FREE EVENT on Friday 9th November between 6.00 – 9.00 pm. No need to book, just turn up.